VMS: Why did you create a second #instagram? I created my second account to focus more on cruelty free and vegan products and not annoy my current followers who may not be interested in as many makeup posts as I would like to do to show you can use both vegan and cruelty free products VMS: What is your real name? Jessica Kilbury, get it jesskilz haa. VMS: Are you Vegan?Yes I have been vegan for 6 years now. VMS: Why did you become Vegan? I became vegan because of an interview davey havok did with peta. I’m not kidding. I was vegetarian for a few years before going vegan. 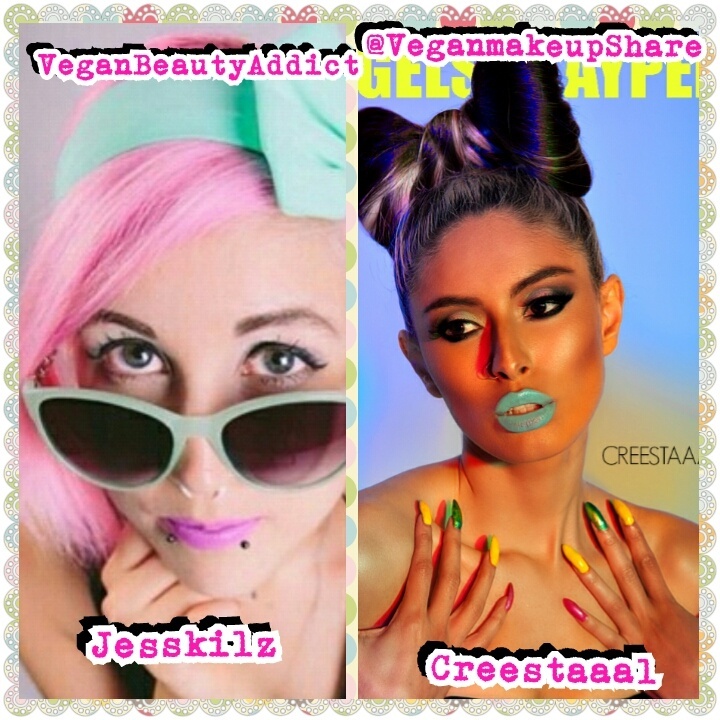 VMS: What does Cruelty-Free mean to you? If companies are giving options of cruelty free, I won’t support it myself but I won’t hold anything against them. For example, I would rather have people buy urban decay than loreal products because urban decay is technically cruelty free. VMS: What is your favorite Color? Pink!! !